See the Blue Ridge gallery! 05.15.2016 - Longest span between updates, ever. But the history must be maintained! 08.14.2015 - Possibly-long-awaited pics from Autumn 2014...I hope that the Áine photos in particular, with the hilarious expressions, are well-appreciated. 01.28.2015 - I suppose, despite all of the Winter fun, we are looking forward to Spring. Here are last year's spring pictures. 09.07.2014 - Family adventures from last Winter! One less season behind! Áine - the cows are a highlight! 02.11.2014 - Catching up on some of the kids' Summer photos. 11.13.2013 - It's been quite some time since my last update! Don't think that we haven't been adventuring and photographing, because we certainly have! We've been working hard on a move, which has left little time to catch up. Today I have most of the good pics from Aidan's Summer. 07.14.2013 - The second and final part of our photos from New England! 06.16.2013 - Here's the first batch of long-delayed photos from our trip to the "Frozen North" this past March! These are from New Hampshire and Vermont. More are on the way! 05.12.2013 - Áine being particularly cute! 03.23.2013 - I think I've posted most of our Winter adventures with the kids today, even though the season is refusing to fully relax its grip on us. 03.16.2013 - Here are some of Aidan's Winter adventures! 02.07.2013 - So far it's been an often cold Winter, though without much snow at home. Feeling the need for a "real" Winter experience, I drove out to Shenandoah NP in the waning days of last year. My plan was to do the memorable Old Rag Mountain hike in the snow and ice, and it was well worth it. The weather cooperated beautifully, as you can probably appreciate in these photos. 02.02.2013 - Some final updates from last Fall today. I'm working on getting caught up through some Winter and Christmas stuff. Baby's crying upstairs, so I'd better keep this quick! This batch comprises a trip to beautiful Harpers Ferry last month, and a few photos from Halloween. It was amazing just how much sticky debris Aidan had stuck firmly to his Jedi robes! 12.09.2012 - Weekends and mornings are update time! Áine is semi-asleep upstairs, and our other kids are keeping us busy too - both in pictures and around the house! Today I'm sharing some Aidan and Fiona stuff from the past few months. I've just finished the last touches on my log and photo set from a bike tour that I did in September. It was the most draining and yet most rewarding thing I've yet done on the bike. I think you'll find it to be pleasantly scenic. You can read about it here. 10.29.2012 - Baby Áine is here! She joined us 10 days ago and has brought a lot of joy and loss of sleep into our home. She is quite a lot of fun, of course, and is getting along with our suddenly very solicitous older kids. She has also been quite quiet today while the hurricane rages outside, which has given me ample time to work on getting her page up and running. Click here for a whole smorgasbord of new pics of baby Áine! 09.11.2012 - Further family adventures over the Summer! 08.14.2012 - Some documentation of a family trip to PSU earlier this Summer. That Northern weather was a real comfort! 07.23.2012 - Here's the first batch of the kids' Summer photos. I think we're getting around a fair amount despite the often stifling heat outside, though the temptation of hibernating indoors has been tough to fight this year. 06.19.2012 - The Don and I went on a Spring camping trip this year in Shenandoah NP. The weather was great, if quite cold overnight! Here are a few memorable additions to the VA Blue Ridge scenic gallery. 06.06.2012 - We went out to a country fair in the Piedmont called the Strawberry Festival around Memorial Day. Naturally, stickiness ensued. 05.06.2012 - I hope you enjoy today's photos (and video) from Easter as well as some documented goofing off. 04.22.2012 - It's been a very fine Spring so far. On this rainy day I'm posting photos of the kids while they nap. Below you can see pics from their trip to the Atlantic and from their walk among the blooming cherry trees in DC. 04.11.2012 - Here's a follow-up from our Kent Island visit - a picture that might just end up on my wall someday. It was certainly one of the finest sunsets I've seen in quite some time! It is, of course, almost the same picture as in my last post, though without a Fiona. I think it deserves a position among my coastal Maryland photos nonetheless. 03.30.2012 - Spring has only just begun and I'm happy to say we've been to the beach twice! We like to go when it's still cooler outside for the reduced crowds and better ability to make photos. But now that the kids are getting older they really want to get into the surf! There's more to come, of course, but today I'm sharing our visit to Kent Island, Maryland, on the Chesapeake. I've posted one photo from this cool island already, but we saw an even more impressive sunset on this most recent vist. 03.22.2012 - Spring is really in full swing here, with budding leaves and flowers abounding. In the interest of catching up I'm posting what's probably my last Winter update. It came from a particularly good day - my birthday - and the only solid bit of snow I got to experience during the whole season. I was once again at my favorite spot in Michaux State Forest, along the banks of Tom's Run below Sunset Rocks. I set up my tripod low along the edge and kneeled in the fluffy few inches of snow to get this shot. It's kind of mellow and relaxing, don't you think? 03.16.2012 - Last month I drove the family out to Shenandoah National Park without bothering to check the status of Skyline Drive. After two hours in the car, we learned that the road was closed. It's a bit frustrating that they close it when there's only the slightest snow, but we didn't despair. Nearby Massanutten mountain is still fun to drive around, both on the roads winding up to the gaps and through the narrow Fort Valley that lies within. After a meandering tour, we stopped at a familiar place and went for a bit of a hike. Snow was on the ground but it was only enough to please the eye rather than hinder travel. We brought the stroller to push Fiona about, but she walked a good distance too. Aidan, of course, loved making snowballs and running far ahead. We had a grand time and finished our out-and-back walk with a campfire to roast hot dogs! The kids' photos are linked below. 03.09.2012 - Today I have a few photos from Fiona's birthday party. Sure, it's only opening presents, but I did record at least one Fiona-smile! 03.05.2012 - My friends and family know that I like to get out to the mountains to see fall foliage in all of its splendor. It's not always possible, of course, and our neighborhood can certainly show off on an Autumn morning. Thus, today I've posted three photos of our local lake (starting here). If only it were looking this fine these days! It's often a pleasure to look out the window at breakfast, especially during Autumn. 02.29.2012 - Want to see some of the kids' Winter adventures? You know you do! 02.19.2012 - I may not get much opportunity for travel, but the Blue Ridge is only a short distance away from Alexandria. In two hours I can be up in the mountains appreciating the sights. I was reviewing my photos today and got a bit carried away updating old ones. Many of the Virginia Blue Ridge photos are now available for sale, with links to the shopping page for each photo. This might be a great time to update your home's decor with some Appalachian scenery! 02.18.2012 - Christmas 2011 pictures, including the standard wild hair, screaming, and frantic gift unwrapping! 02.15.2012 - Some Thanksgiving photos of the kids. 02.13.2012 - This past Thanksgiving weekend the family and I took a short drive out to Gettysburg and walked about on the hills and among the boulders. Fortified by leftovers, we stayed out with the kids running for quite some time. Our last stop was Little Roundtop, just as the sun was going down. The castle structure atop the hill memorializing the 44th New York Infantry was swarming with people, but I waited until (almost) everyone was out of the frame to get this shot with the distant ridge of South Mountain framed by the arch. 02.12.2012 - At the end of my Autumn camping trip, the kids had a bit of a romp before a beautiful backdrop. 02.06.2012 - Back in October I took a small vacation - camping in the Blue Ridge in Shenandoah National Park. Naturally I had my camera with me, and over the three days I took a number of photos that I'd like to share. There are nine new photos in this gallery starting here. 01.09.2012 - Many of the kids' Autumn adventures! 12.08.2011 - A late-Summer trip to Snowshoe Mountain, WV, complete with a collage gallery! 10.29.2011 - Back in August we went to Gettyburg's Land of Little Horses, a farm park that the wife fondly remembered from her childhood. The close encounters with animals had the kids quite entertained! 10.05.2011 - This past Spring I made my first-ever fully-loaded bike tour. I rode from our home in Alexandria to Harpers Ferry, West Virginia. It was a grand experience and a great way to travel! I wrote the trip up based on my notes here. 09.07.2011 - Spring update Mk. III - Autumn color is nearly upon us. I see a few leaves changing here and there, including a few on a favorite tree just outside our kitchen window. Continuing with my historical updates, though, means that I have some Spring color to share today. When I took these photos, I was struck by how beautiful each scene was as I stood before it. At the time, I was also happy with the captured images as I reviewed them on the camera. However, when editing the photos months later, I initially found them all to be too busy. For a bit I hesitated to post them, but I eventually felt that the colors and impressions they show make them worthwhile despite their clutter. I hope you agree! 07.01.2011 - I've got a big update covering a bunch of the kids' adventures this past Spring. Of course, there's more to come! 06.03.2011 - The kids have been up to more of their usual antics! 05.06.2011 - Fiona turned one year old this past January, and we made sure to celebrate in classic fashion. 04.13.2011 - I managed to recover a picture from an Alleghenies trip last April by removing a rather irksome blurry tree branch. This makes me really glad since the image now represents nearly what I expected when I first opened the shutter! See it here! 03.25.2011 - Spring is upon us in Alexandria, with flowering trees scenting the air everywhere. In my own personal photography, however, I'm going to share a few photos from Alexandria's last colorful season, this past Autumn. As for the Spring flowers - I hope to get some photos before they disappear! 02.26.2011 - I'm hoping that I don't end up two seasons behind with my updates! Anyway, I hope you enjoy this set of photos of Aidan and Fiona from this past Autumn. 02.17.2011 - The family hasn't been back to Shenandoah since last October, but that one trip still yields some beautiful things. Today I have a photo of frequently-photographed Dark Hollow Falls to share. Grand, eh? 02.01.2011 - We do get the kids out to the playground as often as we can. Here are a few photos of them doing what they do best. Aidan in motion - a slide action video. This has been making me laugh for quite a while! 01.18.2011 - On a fine October morning, the kids and I saw these beautiful scenes illuminated by the rising sun. 01.09.2011 - The kids had a good time after some pumpkin carving at home around last Halloween. 12.28.2010 - Autumn in Pennsylvania can be a beautiful thing. I feel that these few pictures manage to capture some of the season's splendor. 12.16.2010 - With snow falling today, I'm trying to catch up on Autumn photos. 11.17.2010 - We took a family trip out to beautiful Blackwater Falls again last month, which was decked out in splendid Autumn colors. I've picked one photo to share so far, but there should be more! 11.04.2010 - We've been to the PA Renaissance Faire a few times this year, but today's photos come from our last and best trip, where we caught the kids being, perhaps, even cuter than usual! 11.03.2010 - A collage gallery of our family trip to Dutch Wonderland this past September. 10.27.2010 - I'm finally getting around to the kids' Autumn pictures - we've been busy so far in our favorite season! These photos come from a fine September day spent driving and hiking in Shenandoah National Park. 10.20.2010 - Aidan demonstrates that he is indeed quite computer-savvy. 10.15.2010 - I always enjoy a good sunset, and this site is certainly filled with evidence of that! Today, I have a single sunset photo to share. The wife, the kids, and I all journeyed to the Blue Ridge on a long June day for a picnic. We arrived just as the Western sky was beginning to change to bright, vivid shades of orange and pink. I set up my tripod to help stabilize the camera in the gusts coming out of the valley, while the wife chased Aidan around. The hazy conditions and fast-moving clouds resulted in the light being greatly diffused. I would say that we all had a grand time watching the sky light up that day! 10.12.2010 - More Summer with the kids? That's right! 10.09.2010 - Back in June, the kids and I took a roadtrip on the Blue Ridge Parkway, which had us past half the length of Virgina North to South. The great distance was worth the trip, though, since the unfamiliar mountains were often even more rugged and beautiful than those in Shenandoah. 10.07.2010 - I did a fair amount of good hiking this past Summer, including some based around a camping trip in Shenandoah with an old friend. 09.17.2010 - Ahoy, I'm back from quite a long break! I suppose I just needed one. However, I do have quite the backlog of things to report on. Today, I'm sharing some photos from late Spring, when the kids and I drove to West Virginia to spend the day in the mountains. Seeing the sun rise from Spruce Knob was a fantastic experience. I loved watching the light change as it slowly poured into the many narrow valleys below. Then, once the light was full, the kids and I were able to take a walk along some of the peak's paths. After Spruce Knob, we drove a bit to visit the beautiful Snowshoe Ski Resort, which I had never seen without a thick covering of snow. The long, green views were simply spectacular, and the festive village feel was a real treat. We really met some splendid, friendly folks. Finally, before beginning the long journey home, we drove further south to tour the Highland Scenic Highway, which showcased wild West Virginia quite well. It's a beautiful state to have for a neighbor! 08.10.2010 - More pictures from Aidan's birthday party! Thanks to all for the good times and the presents. He's going to have quite a good time playing with them! 07.28.2010 - The wife, Fiona, Aidan, and I all went for a little hike in Ricketts Glen. The steep steps proved far too precarious for us to do the whole circuit, but we did see some magnificent falls on our brief visit. This was my favorite. 07.22.2010 - Hello after another hiatus! It has been quite a while, and the only excuses that I can offer are that I've been cooking and especially reading quite a bit lately. Today I have an image of a rather interesting place in Northern Pennsylvania, called Seven Tubs. These "tubs" are a series of large potholes carved by water action over endless years. What we get to see in modern times is a narrow, swift stream that plunges over a series of falls between the tubs. Its course is often ten or more feet below the eroded cliffs, though its banks can be reached safely above and below the tubs. I was staying in a nearby hotel for a wedding, so I left my slumbering family before dawn for a quick visit to this little wonder. As soon as I had some natural light to work with I was walking about in the sodden woods. The smell of wet leaves was all about, as was the sound of rushing water. It was a real pleasure to make this image, and I hope you enjoy it! I have also spent some time looking into how to perhaps make some profit from sharing my favorite images. I've found that a print is the preferred means of really appreciating a photograph, and I've found an easy way to make these available to anyone interested. I have set up a shop on a website called imagekind, which provides on-demand printing of images. This enables me to sell them without having to carry stock, and allows imagekind and I to share revenues. Custom framing services are also provided, and they look wonderful. I don't have any delusions that this will make me rich! However, it may help to at least subsidize what has become one of my main diversions in life. I plan on adding my favorite grimbert.net gallery scenes to the shop eventually. I will also add new images going forward as appropriate. Thanks for looking, and thanks for your support! 06.30.2010 - Summer is in full swing, and I haven't even gotten through my batch of Spring photos yet! Yes, I'm way behind, but I like to think of it as a good problem, since I have no lack of photos to share. Last month we traveled North with much of our family to Wilkes-Barre, Pennsylvania for a beautiful wedding. The best photos I have concern our kids - we'll leave the shots of the wedding party to the hired professionals! 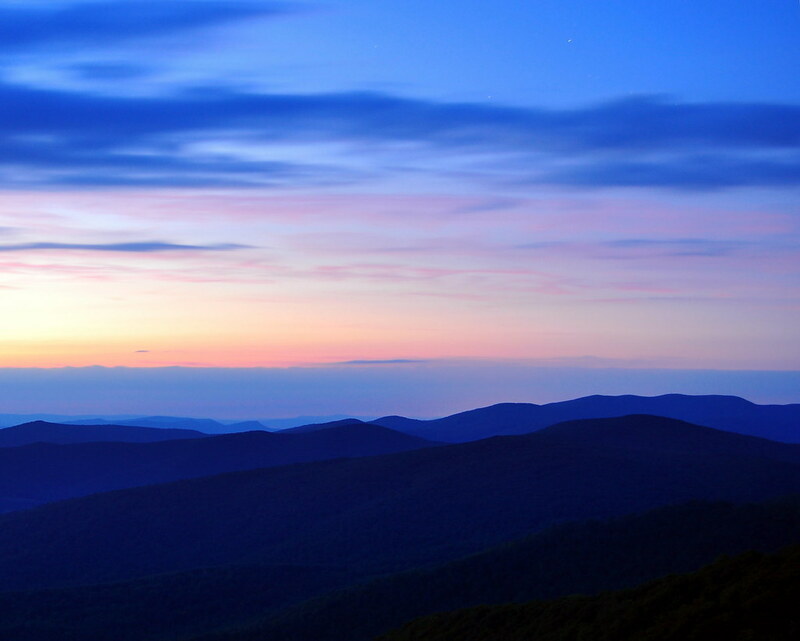 06.17.2010 - Last month I had a grand, albeit short camping and hiking trip in my beloved Blue Ridge Mountains. I arrived just in time for a spectacular sunset, and the scenic trip stayed top-notch thereafter. 06.15.2010 - The wife was adamant that we pose Fiona for some photos, and I'm really glad that we did! 06.04.2010 - Aidan has a grand time at the Alexandria waterfront when there's ice cream involved! 06.02.2010 - I'm continuing the tale of the family's Allegheny adventures with a full tale in the travels section. It was a grand time! Today's post also includes the marvelous Blackwater Falls. 05.26.2010 - More waterfalls! Indeed, it has been a Spring filled with them, and more photo posts are in the works. Today, I have two photos (starting here) from Maryland's splendid park in the Alleghenies, Swallow Falls State Park. The Youghiogheny River plunges a few times here, and a tributary also has a precipitous drop. All of this happens beside a fine old forest that is a real pleasure to stroll through. I also brought the kids with me, pushing Aidan around in the stroller with Fiona strapped to my chest. Since the heights were too dangerous for Aidan to be running around, he stayed strapped in. Thus, Fiona got to pose with me in front of Muddy Creek Falls! 05.24.2010 - I normally post items in some semblance of chronological order, but I'm breaking my rule today. I have a waterfall photo from Shenandoah that I couldn't wait to share. Many falls in the higher parts of the Blue Ridge simply can't be too large, since they are often only a few hundred feet below the top of their small watersheds. Dark Hollow Falls isn't a huge waterfall, but it has an interesting shape and can be appreciated very intimately. It is perhaps the easiest one to get to in the park, and the hike down into its narrow gorge is a lot of fun. 05.14.2010 - The kids and I made a journey last month to Assateague Island, Maryland last month. This Atlantic barrier island is well-known for its population of feral horses that swim between it and the neighboring island of Chincoteague. The long, narrow isle also boasts pristine beaches and marsh forests along its back bay. I've posted a few of my favorite artistic photos in my Coastal Maryland gallery. Have a look! And of course, I didn't waste the opportunity to take some photos of the kids at the beach! Aidan in particular had a good time running about on the breezy strand, but I did of course get a few self-portraits with Fiona added in. This island is a very interesting place that I'm looking forward to revisiting. However, I've since learned that mosquitos effectively rule the place beginning in May until sometime in the Autumn, so we will return later in the year if we can. 05.11.2010 - Have you been looking forward to Fiona pictures? Well, if so, the wait is over, and she's as cute as ever! 05.10.2010 - The Southern reaches of Shenandoah National Park have some interesting geology, including steep slopes covered with fields of talus, composed of large broken rocks without vegetation. I've been inspired to hike through some of these parts recently. Last month, Aidan and I visited a favorite vista in the park to check things out, and he got to do some hiking of his own. After this, we stayed late enough for the light to reach a lovely golden hue, resulting in this picture. It's worth exploring these particular mountains some more! Many thanks to my photo reviewers in helping me choose the most interesting photo from the many I took! 05.01.2010 - Aidan had a run around the lake today, which led to a goose-related encounter. Have a look! 04.30.2010 - Today I have a few photos from a waterfall hike in Shenandoah. This hike started me on a waterfall kick yet again, which has meant I've been driving all over the mountains on weekends for the past month, often with the kids! It's such a wonderful thing to see water coming down a mountain with all of its force. As always, I will have photos of these trips in the coming weeks. Stay tuned! 04.27.2010 - About a month ago we drove far North to Wilkes-Barre, Pennsylvania for the wedding shower of the wife's cousin. Though Aidan and I didn't stay long at this event which was mostly for the women of the family, we did manage to snag a few tidbits of delicious pizza, and Aidan entertained with his antics. After getting a few photos Aidan and I escaped to Ricketts Glen, which I mentioned a few weeks ago. It was so beautiful there that we're hoping to go back as a full family around the time of the actual wedding next month. We're looking forward to it! 04.24.2010 - I've been appreciating this Spring more than ever before, traveling from the mountains to the sea while everything has been blooming. However, some of the nicest flowers still come to the DC area. I didn't go into Washington to see the blossoms this year, but Alexandria also has more than its fair share of cherry trees. Here are two photos (click through to the next one)! These trees are only vivid for a few days before the flowers are obscured by the quick growth of leaves, and then the petals scatter. I think I got to these just before the leaves took over. 04.16.2010 - My friends and I are planning a camping trip this June to Shenandoah Park centered on the Loft Mountain campground. This Summer trip got me thinking about last year and all of the time that I spent in the mountains. I went back to my archived photos to see if my perceptions of anything had changed, and I did indeed find some gems that I think are worth sharing. First is a photo of a twisted stair and tree at Timber Hollow Overlook. I had already posted a photo from this very same evening last year, but this photo has grown on me quite a bit since then! Not only is the park full of majestic vistas, but there is very rough and rustic stonework everywhere, often leftover from the park's earliest days. Next I have a close-up photo of some pine cones and boughs that I came across on Massanutten mountain when hiking with Aidan. I had stopped to photograph some vultures, though I had no real luck in getting close enough to capture anything special. I then noticed the bright green cones nearby and just decided to take a picture. I've been debating posting this for months, but I think the bright simplicity of the photo makes for a pleasing image. It's always entertaining to appreciate something you've overlooked in the past, especially when it pops up on your screensaver! I'm glad I finally got around to posting these. 04.15.2010 - Aidan enjoys helping me post stuff to the website. Sometimes the random button presses really get him somewhere! He usually runs for the computer with every chance he has! 04.09.2010 - Recently we made our way up to Wilkes-Barre, Pennsylvania for a wedding shower. I fully expected that Aidan and I would only be able to handle this for a little while, if at all, so when the boy started to get feisty we left the wife and Fiona at the party and took an hour's drive to Ricketts Glen State Park. This is a splendid park filled with over a score of substantial waterfalls. However, it turned out that I stayed for too long at the party, since the wife called me just as I was arriving at the park, asking when I would be back. I only had time for a short walk and a few photos at Adams Falls (have a look! ), but we will be sure to return. I had never even heard of this splendid place until I was looking for stuff to do during the shower, so it was a great surprise to find something so wonderfull nearby. 03.29.2010 - I've added some more photos showing us having a grand time in the snow that buried the Northeast this past Winter. Aidan in particular had fun! Next Winter I will be sure to get Fiona out in the snow herself. I was wondering how to divide up the group photos between the two kids' pages, but the wife helped me out. "Aidan stole the show," she said, so he gets two pics. Finally, Fiona gets the big group shot. I hope you get a kick out of them. Sláinte! 03.16.2010 - Almost two weeks ago I left Alexandria well before dawn for a day of hiking in Shenandoah National Park. The main drive was closed, but parking was still available at an entrance station. So, just as the sun was rising, I set off along the Appalachian Trail, bound for Mary's Rock. I still hadn't woken up early enough to experience the sunrise from the peak, but the morning light was fresh as I walked along the trail. The snow was fairly packed on this route, but still gave way in many places, and was coated by a few fresh inches as well. It was treacherous, but I made it to a stunning panoramic vista at the top, as long as I held on tight, for the wind was blowing out of the valley at an alarming speed. I had to shelter behind the broken boulders at the top of the mountain to stay warm between pictures. This was a spectacular end to a record-setting Winter in the Mid-Atlantic region. It's also been a boost to my urge for Winter forest adventures. See all of the photos (4) starting here! 03.10.2010 - I've got some more cute pictures of Fiona to share. She's getting quite a bit stronger! And, she's helped me with this post, since she's passed out on me while I'm writing it up! 03.05.2010 - I got some exciting photos on a Virginia roadtrip the other day, and I wrote quite a bit about the trip. If you just want to see the pictures, the set of four begins here. This past weekend, I was home alone with the kids while the wife took a well-deserved mini-vacation. I really wanted to get out of the house, and, since the kids usually enjoy car trips, I decided to take them out to the Blue Ridge. I was hoping to see the snow-covered mountains, but I had to drive quite a bit to get to a pleasing vista. First we made our way to Shenandoah National Park. I knew Skyline Drive was closed, but I wanted to see the state of the place for myself, and I fully expected the route over the mountains, US 211, to be open. To my great surprise, at the Thornton Gap park entrance, I was told that although Skyline Drive was indeed closed, the Panorama parking area was open, and quite a few folks were using it as a starting point for snowshoeing, hiking, and cross country skiing. I learned that this is usually the case, at least at this entrance, when the drive is closed. It's good information that I plan to use (and did use, see end) in the future, since the park's peaks are much more accessible in Winter with this option, rather than hiking in from a much lower point. The kids and I rested up here a bit and had some lunch, and then we were heading off, down 211 on the mountain's Western slope. We explored the Jewell Hollow area that I've photographed so much from above, but I learned that it's not nearly as impressive when you're actually in the hollow itself. However, as we got back onto 211 and continued West, the majestic sight of the whole range we had just crossed opened behind us. I really wanted a photo of this, but I would have to work for it! We crossed Page Valley and then passed through Massanutten Mountain at New Market Gap. Soon I found myself driving on US 11, which happens to pass through my home town as its main street. Eventually we were in the town of Mount Jackson, and I pulled over to give Fiona a bottle. It turned out that I had parked in front of a beautiful mansion on Route 11, with the Western side of Massanutten looming behind it. After finishing up here, I got this photo before continuing North. Soon we were in Edinburg, which was somewhat familiar after my brief visit for a hike in July of the past year. I turned right onto VA 675, which wound its way through a portion of the enormous George Washington National Forest, and into the isolated, rural Fort Valley, nestled between ridges of Massanutten. I followed 675 past a number of snow-melt fueled waterfalls, but the road was far too narrow to pull over for a photo. I was bound for the very same parking area that I had used for my hike. I remembered a roadside vista there, although in Summer it was quite overgrown, and the valley had been full of haze. However, when we came to this point, I was stunned by the sheer magnitude of the view. The snow-clad valley was spread out before us, and the crisp, cool air afforded a beautiful clarity to everything. We stopped here to admire the vista, and I think these photos (Normal - Panorama 1 - Panorama 2) really show just how fantastic it was. The South Fork of the Shenandoah River glittered in the late afternoon sunlight, and the mountains themselves looked splendid in their blue-white garments. I could pick out some of my favorite spots in the park's central district - Jewell Hollow, Stony Man, and Skyland. And while Fiona was asleep in the car, I let Aidan run around for a little bit. If I didn't say so, you might think that I had taken him to a ski resort, no? Pictures coming soon! I was sorely tempted to stay for the sunset light, since it would have been falling on the mountains from the right, and would surely have looked glorious. However, there was simply no chance that the kids would stay entertained for another hour or more, and Fiona had just woken up and started to cry. Thus, with a bit of regret, we retraced our steps back into Fort Valley, and followed VA 678 Northwest through the valley's length. I enjoyed the countryside, but didn't really see a photo I liked, so we kept driving. The devastation that the Winter's storms had wrought on the local trees was highly evident, as felled trees lined the road. The path was clear, though, so it was obvious that much labor had gone into clearing it. Soon the road was running along and above Passage Creek, a deep greenish torrent that had cut itself a narrow gap at the Northern side of the valley. The treacherous road had almost no shoulders, so that even though I wanted to admire the creek as I drove, I had to keep my attention fully on driving. Though the sun was lighting up the sky in a lovely way behind us, I was glad to be out of the valley. After this, it was a short and easy drive to Front Royal, where we picked up I-66 and drove home. 03.01.2010 - Fiona was baptized last week, and I have a bunch of photos posted from the event. As I've said already, and quoting Fr. Kleinmann, we have two little saints in the house! 02.26.2010 - Aidan has his long-awaited first haircut and bears it with great courage. See this and more here! 02.23.2010 - The wife and I went to Gettysburg and the site of our wedding reception for Valentine's Day this year. The food at the Herr Tavern is always great, and Gettysburg is fun any time of the year! While we were in the area, I made sure to get into the woods to see the aftermath of the blizzard in an undisturbed area - my favorite campsite near Pine Grove Furnace. I saw a few footsteps marking the passage of hikers in the deep snow on the Appalachian Trail, but there was otherwise no evidence of human traffic in days. Using my wading boots, I crossed the icy stream and set up my tripod on some rocks for this photo. I hope you enjoy it, but I know I can do better. I was trying to use a very dark filter, which means that I must take a very long exposure in order for the photo to be bright enough. This means that all of the motion of the water over this time will be recorded, which leads to a very soft and smooth effect. However, the bright snow and the manual nature of this resulted in mistakes on my part, so these photos are not really presentable. Thus the photo I've actually shared was taken with only a simple fliter to dim the upper half of the frame, since the early morning light was falling there, and it would have made for a poorly exposed photo. The effect of the very dark filter on water is a beautiful one, and it is evidenced here and here - I think it is always worth trying for, even if I don't get it right! I plan to go back to this place many times in the future, and in all seasons. I'm sure we'll get snow just as intense as that of the "Blizzard of 2010" again! 02.16.2010 - The DC region is still under a deep blanket of snow, although the streets are clear enough! I have yet another photo to share from when the snow was still fresh. I hope you enjoy this scene on one of Alexandria's oldest cobbled streets. I also have a slideshow of various scenes I've captured during all of the recent snowfall. You may have seen some of these already, but there are a few unpublished shots as well. I for one am enjoying this Winter quite a bit - bring on the snow! 02.12.2010 - Little Fiona may not be getting outside to play in the snow, but we've been letting Aidan take full advantage! Starting here are four photos of Aidan in a Winter Wonderland. 02.10.2010 - All of this snow is really giving me a lot of time to mess around on the computer. Thus, I have a favorite photo from "Round 1" of the Blizzard of 2010 to share. This picture was taken the day after the snow ended, in Alexandria's Old Town. I was wandering around the old graveyard behind the Presbyterian Church, and this house over the wall just looked perfect with the heaps of snow and the clear blue sky. 02.09.2010 - Aidan is just as busy as ever, and very interested in his new baby sister. I've posted a couple of new pictures starting here. 02.08.2010 - Fiona's pictures are finally available! Have a look here. Isn't she beautiful? 02.05.2010 - You know, I think I'm actually a bit daunted by the task before me - choosing, editing, and posting my favorite pictures of new baby Fiona from the last week or so since her birth. Still, it's a happy problem to be confronted with. I also think it's ironic that my "birthday post" for Fiona was a goofy picture of a pastry (she being a metaphorical bun-in-the-oven at that point), but I really didn't know that she was going to pop in on that particular day. I hope to remind her of this in a few years! Anyway, what I'm sharing today is another photo from a hike that the wife, Aidan and I took just three days before Fiona's birth, so of course she was along too. Have a look here - I'm sure you'll agree with me that the wife really is sure-footed! I also broke out the oldest bottle of beer I had, Thomas Hardy's barleywine, brewed in 2004. I have previously learned that this sort of beer goes especially well with the wife's strudel. Since I've been carrying this bottle around through many moves, I thought that it was worth documenting the result of years of aging. The beer and strudel were an excellent match, so I posed them in this photo. Perhaps you think this odd? I definitely agree, but I still wanted to share! 01.23.2010 - Today the family and I went for a short hike in Shenandoah, which really helped to relieve my cabin fever a bit. It seems to be a tradition of ours, since we went for a few woodland walks just days before Aidan was born. Fiona should be here any day now, but until then, you can enjoy a few pictures from Aidan's hike! 01.15.2010 - The wife's pregnancy is at last very near its end, and we will soon be meeting our daughter face-to-face! For the last two months, I've wanted to stay close to home in case I'm needed. Thus, I haven't been traveling much, so I have only a dwindling cache of non-baby pictures to share. Still, I think there are some gems to post, including this photo of Penn State's Old Main at dawn. This was taken on a cold morning in early November, after PSU's heartbreaking loss to Ohio State. Walking about the campus on the beautiful morning after helped to cheer me up! 01.03.2010 - Happy New Year! I'm using this long, cold weekend to catch up on some photos from warmer, more colorful times. Today I have a nice Autumn picture on the Potomac River. I'd love to hear what you think! This is also a fantastic place to hike, FYI. 12.31.2009 - Christmas pictures are here! I've put up three new ones today. 12.29.2009 - Christmas is past, and we're back home from Pennsylvania. Those pictures aren't ready yet, but I've posted another, final batch of blizzard pictures on Flickr (just scroll to the end for the new ones). What a wild time! 12.19.2009 - Wow, along with much of the East Coast, we're snowed in! I managed to venture out last night before the snow got too deep, and I saw a few abandoned cars and a taxi stuck on a hill. In Alexandria, folks were walking down the center of the street and engaging in wild, slippery snowball fights! Today, we're baking and lounging, and occasionally I'm going out to preemptively shovel as the snow piles up. I have a bunch of new stuff today that I just couldn't wait to post. First is a shot of Aidan assisting in decor shopping. Next, I have a photo of Aidan lounging in the warmth inside. Finally, I'm using a slideshow link on Flickr to keep up with the excitement of this storm! I'm planning on adding photos throughout the day. 12.17.2009 - Aidan says hello to Santa Claus again this year! 12.12.2009 - It has been quite a long time since my last post - we've been moving, cleaning, and decorating since Black Friday! We finally had internet access installed the other day, and I've found some time to sit down (Aidan is asleep). I still have a few pictures of Autumn to post while we wait for some snow to provide new photo opportunities. Here Aidan got a chance to play by the bright lights of a new fountain in Alexandria. 11.27.2009 - Today, Black Friday, the family and I are avoiding the wildness of bargain hunting - instead we will be moving. As I'm waiting for my chance in the shower, I've posted a Summer photo to bring back warm memories. And, since I'm traveling, I had to use a photo already up on Flickr! I call this photo "Rusted Advertising." 11.24.2009 - It's been a rainy Autumn in the DC area for the most part, (or at least it feels that way! ), but we've had a few nice days. On one of them Aidan and I went into the city to see the trees turning on the Capitol grounds. Three of the most colorful photos can be found starting here. 11.17.2009 - The wife and Aidan are a dynamic duo! They can scale even the fiercest of mountains! Here's the proof! 11.16.2009 - Aidan continues his tour of universities in the Old Dominion in this series from Virginia Tech. 11.14.2009 - I finally have the landscape photos from our trip to Asheville up for display! I'm really happy that in such a short time we got to see so much. This land of mountains has a spectacular color palette, and many transitions above and below the clouds. I hope you enjoy them! 11.12.2009 - I'm still working on a comprehensive collection of our trip South, but in the meantime, here's a family picture from the trip! 11.04.2009 - Is it a bad thing to show so many leaf piles? I hope not, because I'm sure to have more after this! 10.29.2009 - Aidan knows the key to a lady's heart. What a wise little guy! 10.28.2009 - Aidan demonstrates the role of a very loving baby. He's learned so well! 10.26.2009 - Only a week late, I've now posted pictures of Aidan's adventures in the snow of Shenandoah! 10.24.2009 - Last weekend was very odd in Shenandoah National Park. Why? Snow had already fallen, but only at the higher elevations near the peaks. Thus, the mountaintops were covered, but the lower slopes and the lowlands below were still dressed in beautiful Autumn colors. Despite some road closures in the area, the family and I navigated around them and really appreciated the amazing aesthetic effect of this quite early snow on the still vibrant colors of Autumn in the park. The newest six photos start here. I hope you enjoy them as much as I enjoyed taking them! 10.20.2009 - Here are the scenic pictures from our visit to Pennsylvania last week. Despite the overcast sky, the colors were bright and beautiful. The newest three pictures start here. 10.19.2009 - Aidan explores the colorful woods in southern Pennsylvania. I've posted some other recent baby pics as well. 10.18.2009 - Aidan's been getting into all sorts of outdoor adventures since we've been taking him all over to see the leaves changing. Here he is in a leaf pile! 10.17.2009 - Autumn continues to change the scenery all over the place, though it hasn't gotten too far in the DC area yet. I've still gotten to see a lot, though, since over the last few weeks I've been continuing my journeys through the nearby Blue Ridge, where the higher elevations put the color changes a few weeks ahead. This particular photo update covers three different trips over nearly two weeks. The newest ten pictures start here. I hope you enjoy them! The first two are from a particularly beautiful (and painful!) hike up Old Rag Mountain that Ickes and I undertook two weeks ago. I've got more Autumn photos on the way, too! 10.10.2009 - I've finally posted my favorite landscapes and other "artistic" pictures of last month's California trip as a new high-quality gallery. Hopefully a complete travelogue will be coming soon! 10.06.2009 - Presenting Aidan's adventures at the Pennsylvania Renaissance Faire last month - enjoy! 09.19.2009 - Starting Autumn with Aidan's Fall Fashion Shoot! 09.18.2009 - In the mountains, Autumn is truly upon us! I've created a gallery to track the wonderful sights that come with this most beautiful of seasons! I'll be updating it with new material when I can. At this point, the leaves are just beginning to change in an very sporadic way, especially in the highest elevations of Shenandoah National Park. I also managed to get a very clean photo of a bear loitering in a tree. This should prove to be a grand photography season, which I'm planning to take full advantage of! 09.15.2009 - On the last day of August, Aidan and I bid Summer farewell in the mountains. Good riddance to all of that heat! 09.12.2009 - Last month, Aidan and I went to visit the lads in Shippensburg for a short hike and some supper. While walking about the old town, I remembered just how nice Branch Creek can be. 09.09.2009 - If you haven't heard, we have a daughter on the way! I've finally posted a few ultrasound scans on a new page just for baby Fiona. 08.31.2009 - The family and I took a fine little hike to see a waterfall in Shenandoah. 08.24.2009 - Last weekend Aidan and I took a break on a pier in the Potomac and watched the sun set. A good end to the weekend, right?. 08.19.2009 - When we were visiting Baltimore a few weeks ago for Aidan's birthday, I really enjoyed the golden light of sunset falling on this lively corner in Fell's Point. It seems a fine place for a night on the town! 08.16.2009 - If you're in the right place to appreciate it, a sunset can be one of nature's great spectacles. The wife, Aidan, and I witnessed this display over the Shenandoah Valley on Friday. 08.11.2009 - We celebrated Aidan's birthday in York with a lot of family and friends. Aidan went through a variety of emotions during the party, many of which are captured here. It was a wonderfully good time, and we thank everyone for coming and for their gifts! 08.06.2009 - Aidan's first birthday was yesterday! To celebrate, we visited Baltimore's aquarium and explored areas around the harbor with the family. Some photos from this great day are here in a slideshow. 08.04.2009 - Today I have some more photos from Shenandoah National Park, which I believe fit into my gallery well, in that they help to highlight the great variety of light in the mountains. Both are much "softer" than my previous photos, and show two different levels of morning light. The first was shot at dawn in the northern reaches of the park, and the second was taken a few hours later, considerably further south. I also enjoyed the variety of wildflowers that I was able to fit into the foreground. 08.03.2009 - The more that Aidan runs around, the more I want to catch him on video! Here we have Aidan wandering about the Lawn at UVA. 08.02.2009 - Aidan goes for a leisurely stroll in the Blue Ridge, as documented by his personal videographer. 07.30.2009 - Check out Aidan, junior rockstar! 07.27.2009 - We visited a cozy diner called Lucky's Coffee Shop in Wilmington, Delaware this weekend. When we saw this enormous pod chair , we of course thought "photo op!" As usual, Aidan was quite the willing subject. 07.22.2009 - Only late at night is Aidan mellow enough to sit waiting for me to grab the camera while he's in such a pose. Good night from Aidan! 07.21.2009 - Have a look at Aidan's fine walking skills! 07.17.2009 - The wife and I had a fine weekend in our favorite quiet town of Bellefonte, Pennsylvania. Have a look at the photos! 07.16.2009 - We saw our Godson Conor this past weekend, and the boy is growing by leaps and bounds! The kid's so photogenic that I've set up a gallery like Aidan's for him. We won't see him nearly as much as Aidan, but I'll add new pictures whenever I can. 07.14.2009 - I'm still walking about Alexandria on a regular basis, and the city hardly ever fails to deliver a pleasing scene. This time I have two photos, one of which is an update to a shot that I had already posted. Daniel O'Connell's is a favorite pub of mine in Old Town. I was loitering in front of it after the rain one day a month ago, and I came away with this photo. I fully intended to capture the great blue of the twilit sky, and I'm very happy with how it turned out. I've even replaced the older photo on the gallery. A good decision? The second photo is this narrow shot on Columbus Street, which I think really gives a (slightly misleading) impression of quiet charm. I certainly did have to wait a bit for pedestrians and cars to clear out of the frame! 07.09.2009 - Aidan and I have made two trips out to Shenandoah National Park in the past week, which has resulted in eight new photos in the Blue Ridge gallery. This stunning preserve of nature's splendor has really inspired me. I'm hoping to visit again during the peak of Autumn colors, and also to hike Old Rag Mountain, known as one of the East's toughest, but most rewarding hikes. 07.07.2009 - Aidan and I spent the 4th of July in beautiful Shenandoah National Park, doing what I would call advanced baby hiking. I've put together a gallery here. 07.03.2009 - We didn't have that much success with beach camping last week, but something I'll be sure to always remember from the short trip is this wonderful picture of my favorite people! 06.30.2009 - Last weekend Aidan and I drove across the Chesapeake Bay Bridge to relax and enjoy the air on the first day of Summer, along with the notorious Darkness. We witnessed a truly glorious sunset from Kent Island. I've really been looking forward to sharing this image! A bit of Aidan's experience is here, too. 06.28.2009 - Aidan and I had an interesting mountain adventure in Virginia last weekend. The Blue Ridge region is really quite spectacular! Some of our photos are here. 06.26.2009 - The weekend before last, Aidan's grandmother came to visit, and we played tourists. Aidan had a particularly good time at DC's National Cathedral. 06.25.2009 - It's been a long hiatus, and I'm trying to catch up by documenting my most recent camping trip in Pennsylvania here. 06.03.2009 - Here's my favorite outdoors photo from the recent wedding weekend - do you know where it is? br> 06.01.2009 - All three of us had a wonderful time in State College, this time for Brighid and Dan's beautiful wedding. My favorite photos of Aidan from the weekend are here. 05.27.2009 - He's quite a bit early, but Aidan's ready for football season! 05.26.2009 - Just last week, I was reading the Wikipedia article on crepuscular rays, which are beams of sunlight that appear to radiate from a single point in the sky, often near twilight. I then felt myself lucky to see this magnificent sunset over an infant vineyard, which strongly evidenced the phenomenon. 05.25.2009 - We've got some new baby pictures - here Aidan shows off his hand-sucking ability, while here he thrashes bubbles in the bath tub. 05.23.2009 - I went into DC yesterday while the wife was out of town. I ended up getting some nice shots of sculptures on the Mall while the wife was out of town. You can see them here and here. 05.19.2009 - I've added some pictures from our weekend trip to Happy Valley. Though we suffered through a violent storm, the weather before and after featured beautiful light that brilliantly illuminated the foliage. There are three photos, starting here. 05.18.2009 - Aidan's adventures at Penn State! If you've kept up with him, you know he's a real camera ham. There are two photos starting here. 05.12.2009 - Aidan had a fun overload playing in a swing! 05.11.2009 - It's been a while since I've put up a passed out baby pic, so enjoy this one! 05.07.2009 - Aidan and I did a lot of driving in many beautiful and dramatic places this past weekend, which culminated in his first sight of the ocean. You can read about it and see the photos here. 04.29.2009 - Aidan has an encounter with a fearsome orange mess! 04.17.2009 - I took Aidan down to the river for some outdoor time, though my photos didn't work out like I had hoped...I'm still pretty happy with this one, though. 04.13.2009 - We're all home sick, but Aidan's keeping us entertained with his goofy baby antics..
04.11.2009 - I need to spend some extended time in Gettysburg. It's a fine town in the beautiful Pennsylvania countryside, where the interest in history is kept very much alive. It's also a grand place for a good time. This picture of the vibrant train station really stood out when I was there last time. I also briefly wrote up my visit to another of the town's Irish pubs. 04.07.2009 - What a weekend! I was able to go camping, see a bit of Gettysburg in the Spring time, and visit a new Irish pub. I have a photo gallery and summary of the camping trip - the rest of the updates are forthcoming! 04.03.2009 - All of us went into DC on Monday to see the cherry trees in flower. This was the first time I had seen it without cloudy skies, and it was very impressive. I think Aidan liked it too...you can see his picture here, and a photo at the Tidal Basin here. 04.02.2009 - Aidan the intrepid baby adventurer! Naturally, he gets into everything! See the video of his high-speed crawling here. 04.01.2009 - The cherry trees are really coming in around the area - I took this picture in Alexandria this weekend. 03.31.2009 - I just finished a great read on the traditions and decline of Irish pubs in Ireland itself - A Pint of Plain. I'd highly recommend this to anyone if you happen to be interested in pubs, history, or Irish culture. It's a very new book, not available in my library at least, so I'd certainly loan it if you're interested. You can read my review here. 03.24.2009 - I was out taking photos on the first day of Spring, and came across some wonderful scenes in the early morning light - you can see them here and here. I'm hoping to get even more once all of the flowers come in! 03.22.2009 - Aidan and the wife at a winery picnic! 03.19.2009 - Aidan got to celebrate St. Patrick's Day in style! We took this photo right before going out for dinner and music. 03.18.2009 - I've finally finished my Irish pubs list. This has been in the works for at least four months. I really get a kick out of seeing new pubs, and I'll be sure to update this whenever I add a new one. The slideshow has as many pub pics from my library that I could dig up, and the latest ones were taken specifically for this project. 03.16.2009 - Play time with Uncle Vlad's bear. 03.15.2009 - We had a pretty dreary weekend weather-wise, but at least I got to go out after the rain to get some night photos in Alexandria (the last 4 in the gallery). The wet pavement made a good effect with the various lights. 03.13.2009 - Aidan's adventures continue! He's been enjoying the warm weather, getting ready for St. Patrick's day, and reluctantly saying farewell to his first Winter. There are a bunch of new photos in this update, so keep scrolling down on the Aidan page to see them all. 03.10.2009 - We spent a week in Lake Placid, New York last month, which is a magnificent place. The public photo gallery is finally up here. 03.04.2009 - A slideshow of Aidan's eating progress, and also meeting our cousin Mary Francis in DC. 02.16.2009 - I happened to take a walk around the Tidal Basin the other day, and was struck by this beautiful sunset, which was also being enjoyed by a lot of gulls. 02.14.2009 - I've just added in thumbnail pages for each of the galleries, which makes for a great presentation, and also affords better navigation. And, as you can see above, I've also set up the ability to subscribe to updates via RSS. These updates should also soon be posting to my facebook profile. 02.02.2009 - Not much exciting has happened in the last week or so, but I've grown to appreciate a few photos with Aidan from Autumn here and here. 01.29.2009 - Snow has finally come to Alexandria, and while many are griping about their transportation troubles, I've been enjoying the opportunities for photography. The Carlyle House Garden looks great blanketed in snow. 01.26.2009 - We went up to visit Happy Valley this past weekend. The photographic opportunities were quite good (4 photos starting here). Even Aidan got in on the action, though he wasn't so happy with the cold weather! 01.21.2009 - Who says Aidan isn't a mama's boy? 01.15.2009 - Eating solid food might be beyond him right now, but Aidan sure knows how to relax. 01.09.2009 - A Wayne's World reference in a Discworld book? Yes, Soul Music has it all. 01.04.2009 - Our kid is a goofball..
01.03.2009 - A new year has come, and we're trying new and scary things, like trying to feed solid food to Aidan. 12.31.2008 - There's time for a second New Year's Eve update while I wait for the wife to get home from work to celebrate - two pictures from my post-Christmas hike starting here. 12.31.2008 - Still haven't gotten the Christmas photos up here, but I did breeze through the short Discworld book Mort. 12.28.2008 - We're headed back to Alexandria today, and I have a bunch of pictures from our Christmas vacation to go through. I also finished the excellent book Night Watch, which was so good that I didn't want it to end. 12.25.2008 - Taking a break from the Christmas festivities in York, I managed to put up a family picture from a few months ago. 12.22.2008 - I just finished Terry Pratchett's book Thud! I'm really glad that I've found a series that has so much to offer. There are surely many more good ones to come! 12.14.2008 - Aidan's getting ready for a merry Christmas. Are you? 12.10.2008 - The Discworld books are rapidly becoming my favorite series, and I'm glad I got into them at this point, when there are so many to read. I just finished the extremely funny The Truth, and I'm now beginning Monstrous Regiment. 12.05.2008 - I'm finally taking advantage of Flickr's great slideshows, using it to update the tailgating gallery. 12.03.2008 - I spent some time in Gettysburg over the Thanksgiving break, and added my favorite picture to the gallery. 12.02.2008 - I just finished reading the excellent Jingo, and I've now moved on to the next Discworld book. This is proving to be the funniest series I've ever read! 11.30.2008 - We got a great picture of Aidan in a new outfit, just before he hosed it! 11.28.2008 - Thanksgiving's over, but we're still lingering in York for the weekend. Aidan got to spend some time with his cousin Conor (photo), and I've just finished Feet of Clay, so I'm digging in to Jingo in the quieter moments. 11.20.2008 - Books - Guards! Guards! was great, and I'm now starting its sequel. 11.18.2008 - Travels in the Pennsyslvania mountains, with new pictures in the gallery! 11.17.2008 - The continuing adventures of Aidan! 11.13.2008 - Books - it looks like I'll be reading Discworld for quite some time, and I'm not complaining! 11.11.2008 - Aidan and the wife at National Harbor. 11.09.2008 - New Aidan pic - he got to play in a hammock! 11.08.2008 - grimbert.net goes live! Photo galleries are a new feature.